the East and the South. on waste ground and by roads. 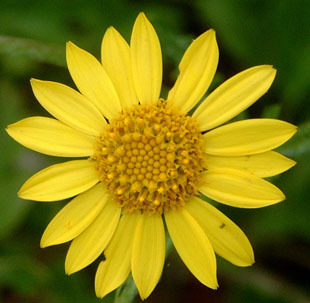 Corn Marigold is an annual, non-native herb, growing up to 60cm. 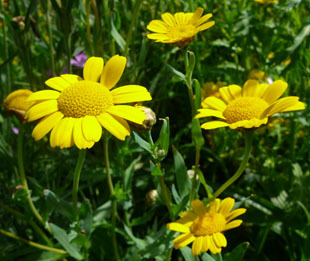 Flowers are on long stalks that slightly thicken below the flower. 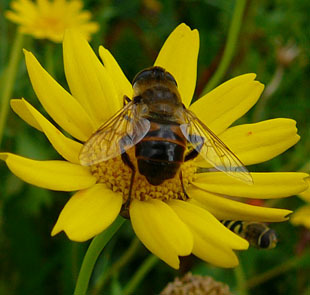 They are bright yellow and up to 7cm across. 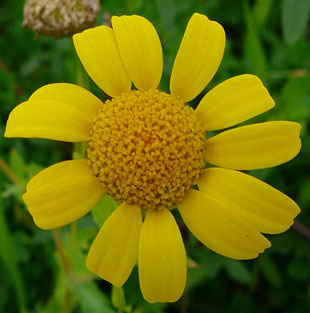 Both ray and disc florets are bright yellow. 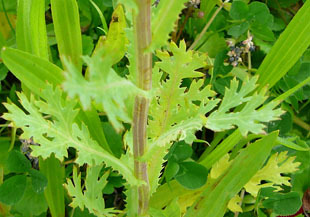 Leaves are up to 8cm long. 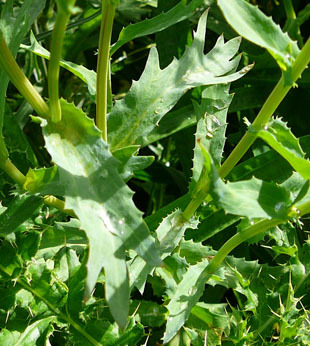 Lower leaves have a winged stalk. 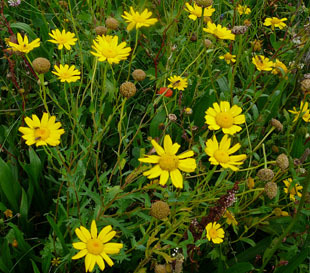 it is considered an arable weed.